The Viaje Juntos 2016 is a project that was a collaboration between Viaje Cigars and Quesada Cigars. 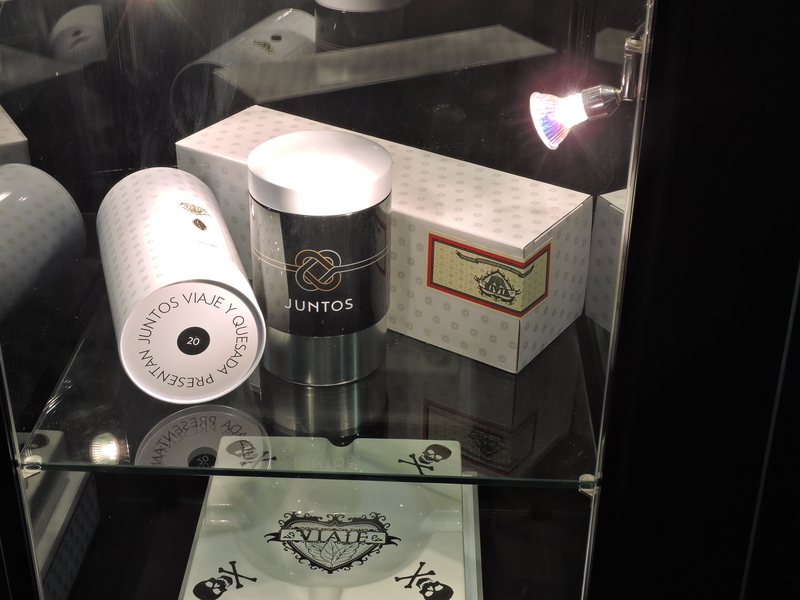 In 2014, Viaje launched the Viaje Collaboration series. As the name indicated, the Collaboration series was a project where Viaje collaborated with another member of the cigar industry to produce a cigar. Due to trademark issues, last year the series was rebranded as “Juntos” (meaning together). While the name changed, the mission of the brand remained the same – namely collaborating with others. 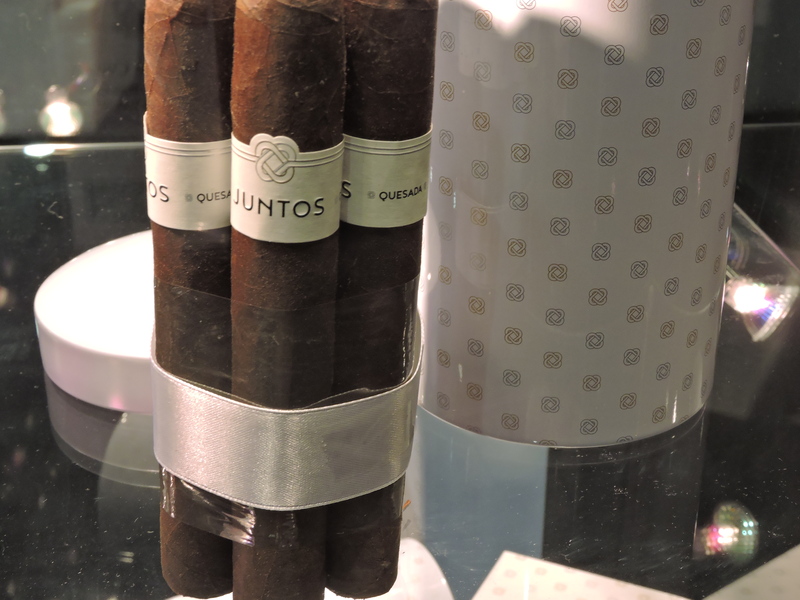 Juntos would be different in anther way as it marked the first time Viaje would work with the Quesada Cigars factory in the Dominican Republic. Recently I’ve had an opportunity to smoke the Viaje Juntos 2016 in the Toro size. Overall I found this to be a different project for both Viaje and Quesada, yet one that was quite enjoyable. 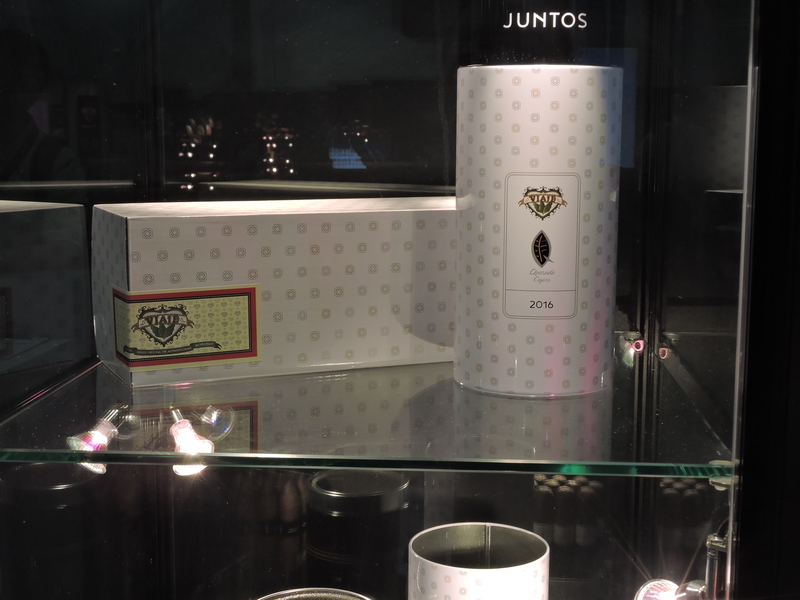 The packaging of the Viaje Juntos 2016 is unique in that it features cigars are packaged in two interlocking tins. Ten 6 x 54 Torpedo sit in the top tin while ten 6 x 54 Toro cigars sit in the bottom tin. As mentioned the Viaje Juntos is the first collaboration between Viaje and Quesada Cigars. The previous releases in this series by Viaje have been collaborations with factories that Viaje has already had a relationship with. According to Viaje Cigars President Andre Farkas, the plan was to release a collaboration “every year or so”. While the first three collaborations were made with manufacturing partners, Farkas has not ruled out working with retailers or other industry personnel for future installments of this series. 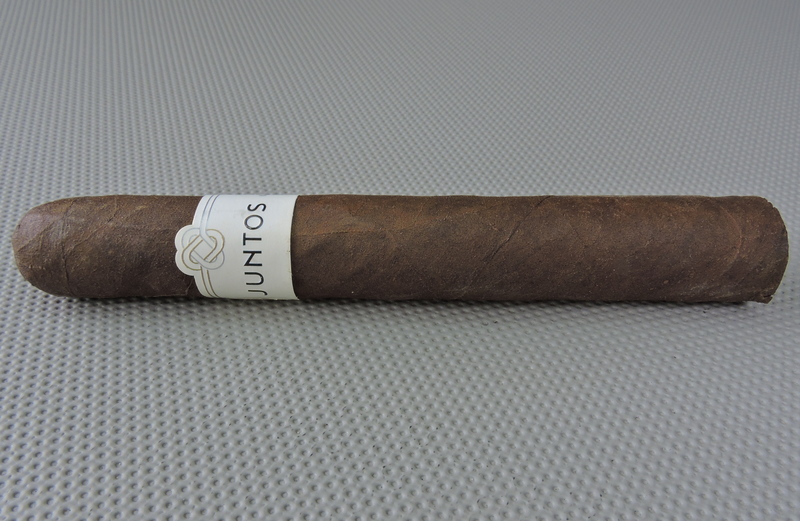 Without further ado, let’s take a closer look at Viaje Juntos Toro and see what this cigar brings to the table. When Viaje started working with PDR Cigars in the Dominican Republic, it marked the company’s first foray into using Dominican tobacco on a regular basis in its blends. As for the Juntos project with Quesada, the company takes the next step forward in delivering a Dominican puro. The Negrito wrapper is not a new type of wrapper, but was recently made more popular with Caldwell Cigar Company’s The King is Dead line. 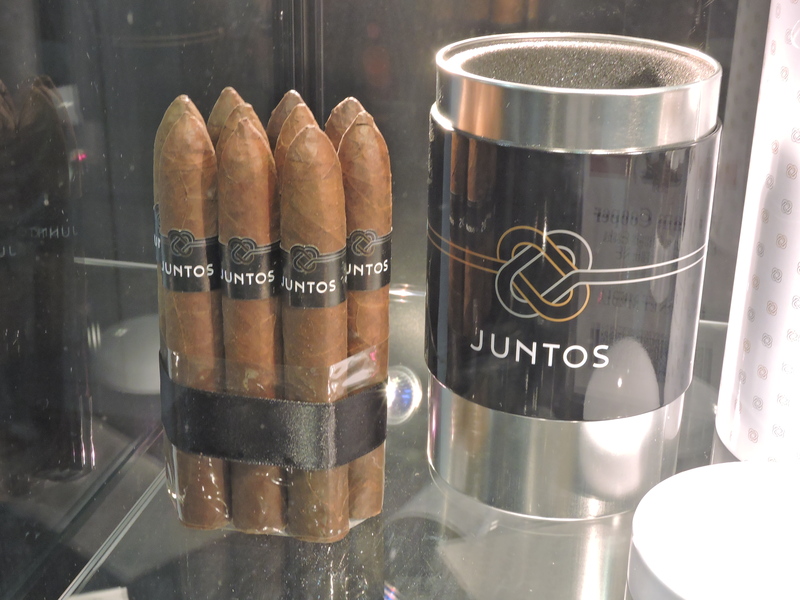 As mentioned there are two sizes with the Juntos that are packaged with together in interlocking tins. The top tin contains ten torpedo cigars and the bottom contains ten Toro cigars. The ten cigars in each compartment are packaged in a bundle to protect them during transit. A total of 1,000 of the interlocking tins were produced. 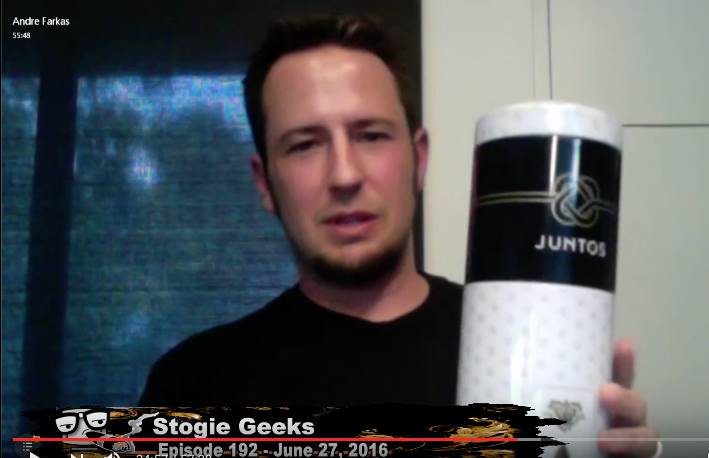 The Negrito wrapper of the Viaje Juntos 2016 Toro had a dark espresso bean color to it. The texture of the wrapper was somewhat rough. There was also some oil also present on the surface. I also found some thin visible veins. The dark color of the wrapper does a good job at hiding the wrapper seams. The band is a completely new design for Viaje. The band is white in color with the text “JUNTOS” in a simple white font. On the left side of the band is the text “VIAJE” and on the right side is the text “QUESADA”. The far right has the text “2016” in landscape mode. There are two gold pinstripes on the upper left side of the band and two silver pinstripes on the upper right side of the band. The two pinstripes interlock at the center of the band like a pretzel. Prior to lighting up the Viaje Juntos 2016 Toro, I went with my usual choice of a straight cut to remove the cap. After the cap was removed, I moved on to the pre-light draw. The dry draw delivered a mix of dark chocolate and leather. While it was a simple pre-light draw, it was also a satisfactory one. At this point I was ready to light up the Juntos 2016 Toro and see what the smoking experience would have in store. The Viaje Juntos 2016 Toro started out with notes of cocoa and white pepper. The cocoa notes became primary in the first third. As the cigar moved through the early part of the first third, the cocoa notes transitioned to more of a malt-like note. Meanwhile the pepper moved into the background where a subtle natural maduro sweetness (a cross between natural tobacco and dried fruit) emerged. The retro-hale produced a layer of red pepper and cedar. By the start of the second third of the Viaje Juntos 2016 Toro, the malt notes transitioned again – this time to more of a creamy wood note. While this might seem like a dull flavor, the pepper and maduro sweetness notes in the background provided a nice balance in the flavor profile. Toward the second half of the cigar, some nut flavors popped in and out of the forefront. It was also by this point where there was an increase in pepper spice. The last third saw the spices close in on the creamy wood and nut flavors. There was less in the way of the maduro sweetness in the background. This is the way the cigar experience of the Viaje Juntos 2016 Toro came to a close. The resulting nub was firm to the touch and cool in temperature. The burn of the Viaje Juntos 2016 Toro performed quite well. The cigar maintained a straight burn path from start to finish. There was a slight curvature on the burn line, but this didn’t result in any additional touch-ups above what I would consider the norm for a cigar. The resulting ash was mostly tight and firm with a light gray color. The burn rate and burn temperature were both ideal. The draw to the Viaje Juntos 2016 Toro was not too loose, nor was it too tight. It provided the right amount of resistance to make deriving flavor from this cigar a low maintenance task. Viaje has gained a reputation for delivering many cigars that are on the fuller side. However, there are a lot of Viaje offerings that have been on the medium / medium plus side – and the Juntos 2016 Toro is one of them. This is a cigar that started out medium in terms of both strength and body. There was a gradual build up in intensity and by the last third the Juntos 2016 Toro had just enough depth to cross into medium to full for both attributes. In terms of strength versus body, both attributes balanced each other nicely with neither overshadowing the other. Given that Viaje chose to work with a factory (Quesada) that it had not worked with before, I found this project to be much more intriguing than the previous 2014 and 2015 Viaje Collaboration releases. One thing that really stands out with the Viaje Juntos 2016 is how much this is a change of pace cigar for both Viaje and Quesada. On top of that, the Juntos 2016 Toro brings together a nice flavor profile and a good dose of complexity. This is a cigar I would recommend to either a novice or experienced cigar enthusiast. As for myself, while I still have to smoke the Torpedo, the Toro size was more than satisfying. Considering the Toro cigars standalone, this is a worthy of a box split.